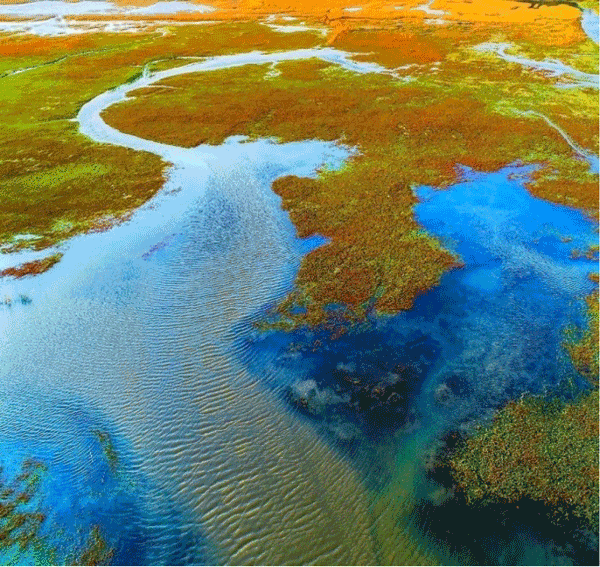 Suaeda heteroptera is a dominant species in the wetlands of the Liao River estuary and a typical saline–alkaline indicator plant, which is distributed on coastal tidal flats, forming a rare natural pink beach landscape. 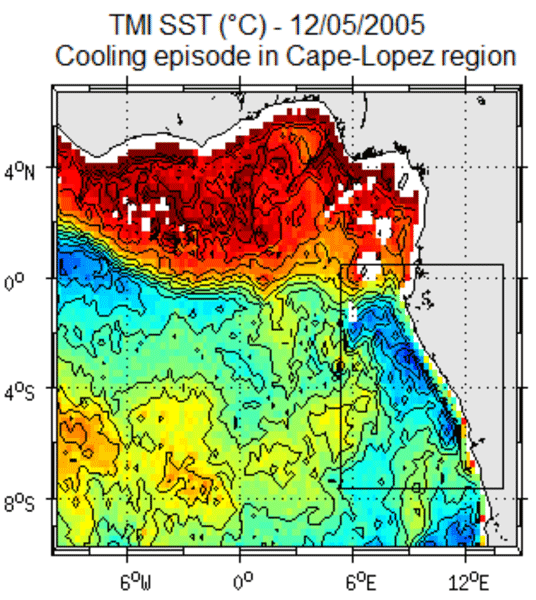 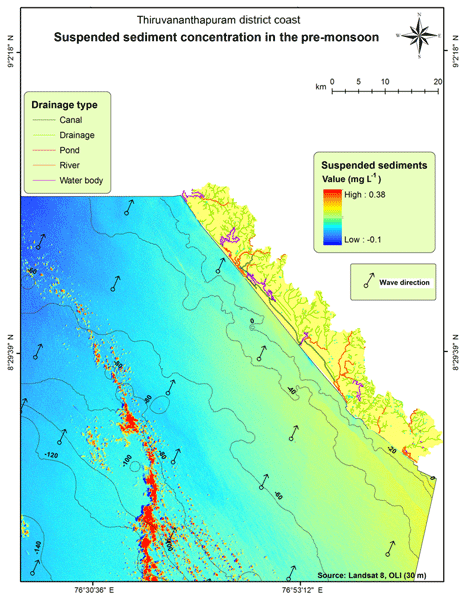 The MIKE 21 model is used to simulate the hydrodynamic characteristics and salinity transport processes in this region. 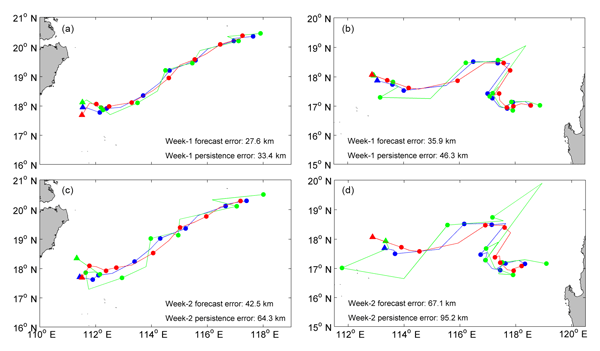 The results of this study are important for furthering the understanding of suitable circumstances for vegetation growth in the Pink Beach wetlands. 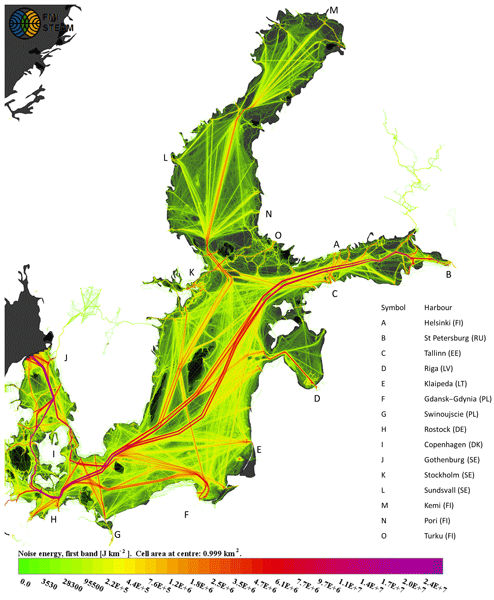 A 6-year simulation of the Turkish Straits System is presented. 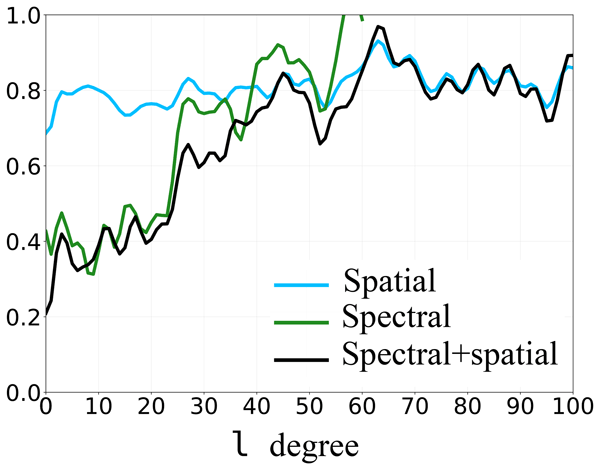 The simulation is performed by a model using unstructured triangular mesh and realistic atmospheric forcing. 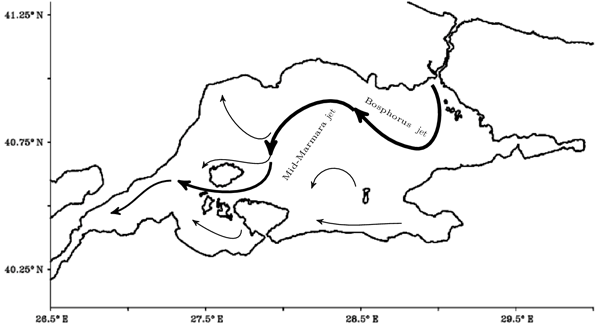 The dynamics and circulation of the Marmara Sea are analysed and the mean state of the system is discussed on annual averages. 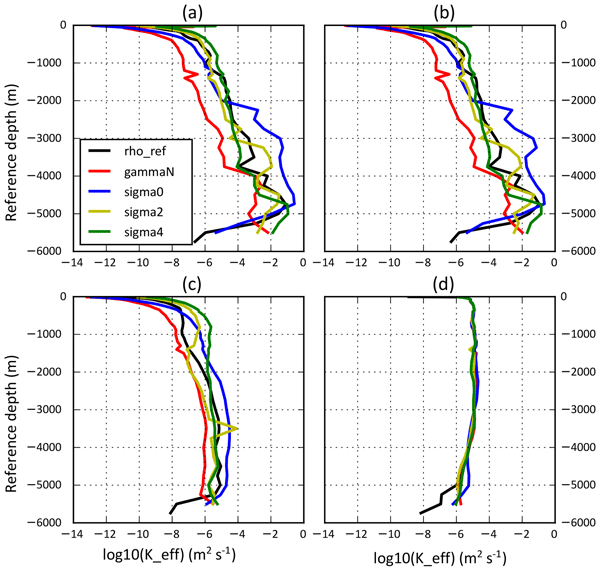 Volume fluxes computed throughout the simulation are presented and the response of the model to severe storms is shown. 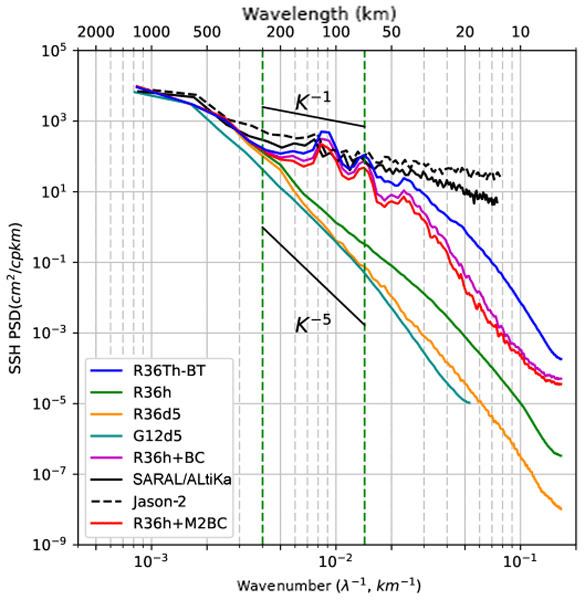 Finally, it was possible to assess the kinetic energy budget in the Marmara Sea. 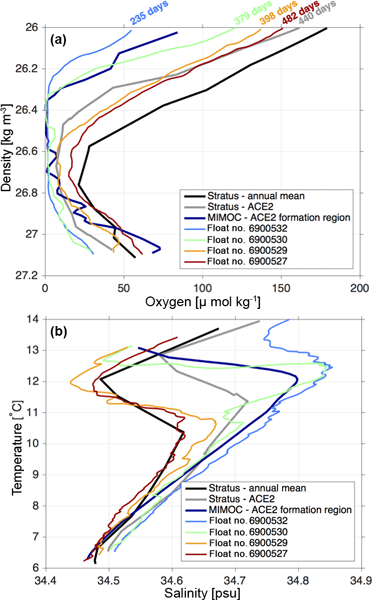 Integrated oceanic observations on multiple processes including biogeochemistry are scarce. 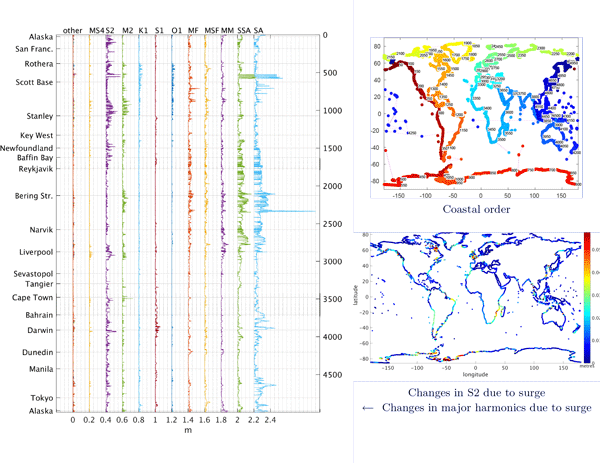 In the eastern Mediterranean (Cretan Sea) the spatiotemporal coverage of such observations has increased with the expansion of the POSEIDON observatory. 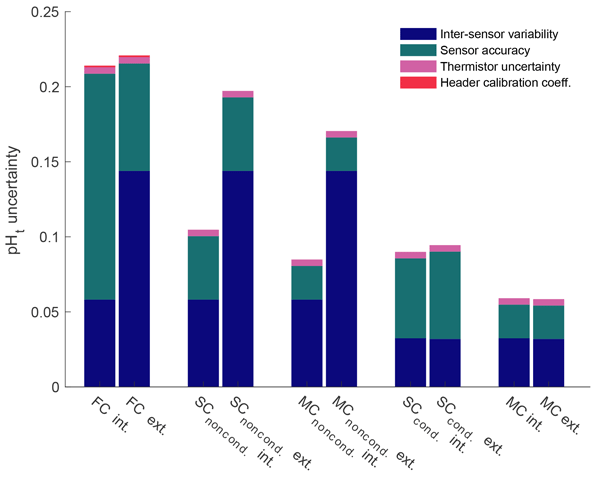 The observatory addresses scientific questions, provides services to policy makers and society, and serves as a technological test bed. 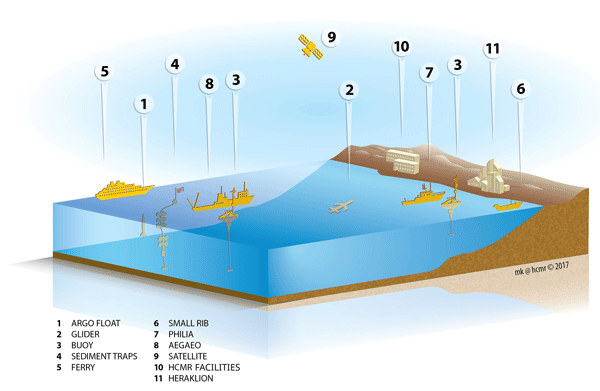 It plays a key role in European and international observing programs, in harmonization procedures and data handling. 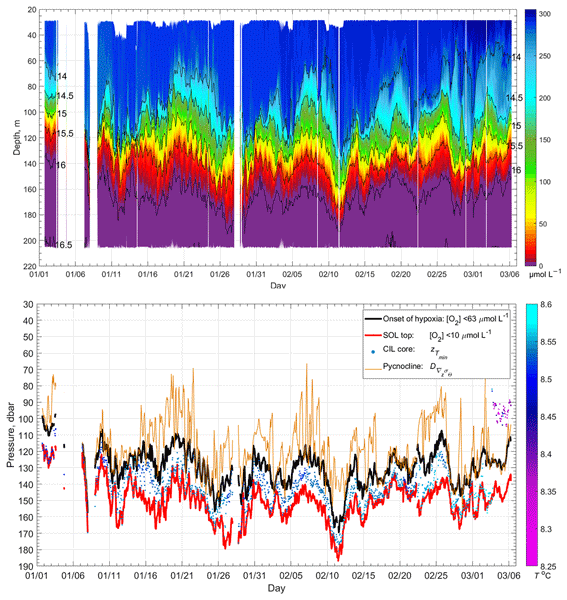 Time series of vertical profiles of hydrophysical parameters and oxygen are critical for identifying trends in ventilation in the NE Black Sea. 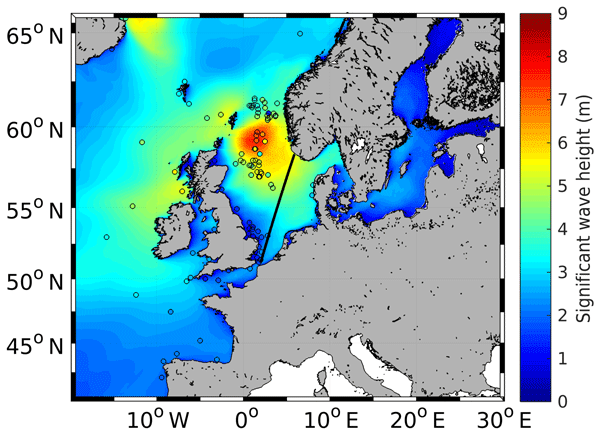 Such frequent measurements were performed using a moored profiler over the continental slope in winter 2016. 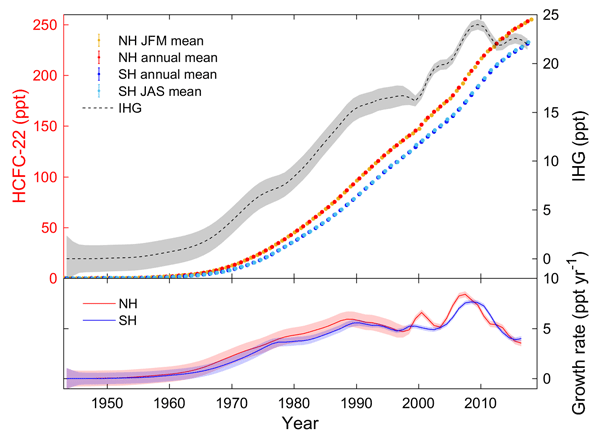 For a brief period of time, the hypoxia onset depth rose to 97 m, the highest elevation ever recorded. 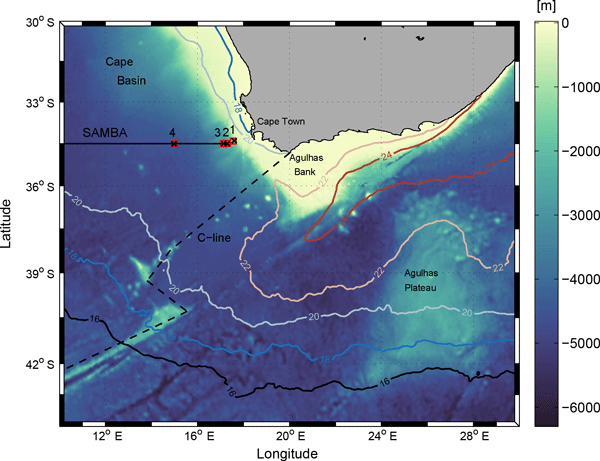 As the shelf edge depth in this region is usually ~ 100 m, there is a risk of spreading of hypoxic bottom water to the outer shelf. 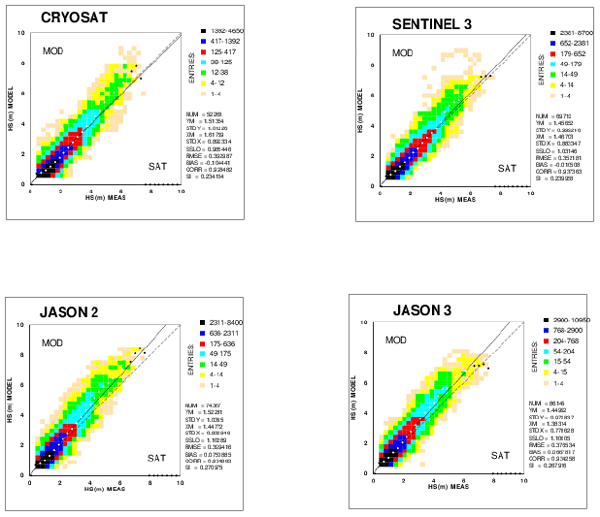 The increase of data quality of wind and wave measurements provided by the new Sentinel-3A satellite in coastal areas is demonstrated compared to measurements of older satellites with in situ data and spectral wave model simulations. 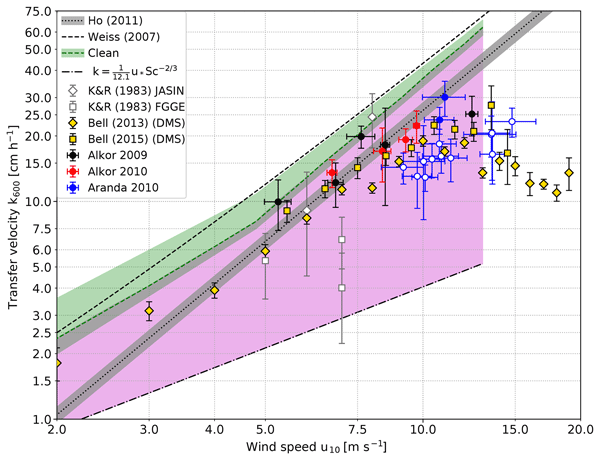 Furthermore, the sensitivity of the wave model to wind forcing is evaluated using data with different temporal and spatial resolution, where an hourly temporal resolution is necessary to represent the peak of extreme events better. 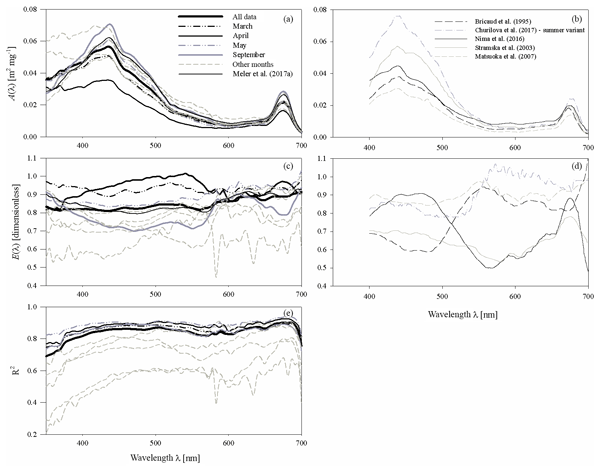 In our paper, new versions of a simplified mathematical description (parameterization) of light absorption coefficients by phytoplankton suspended in the surface layer of the Baltic Sea in relation to chlorophyll a concentration and the concentration of accessory pigments are presented. 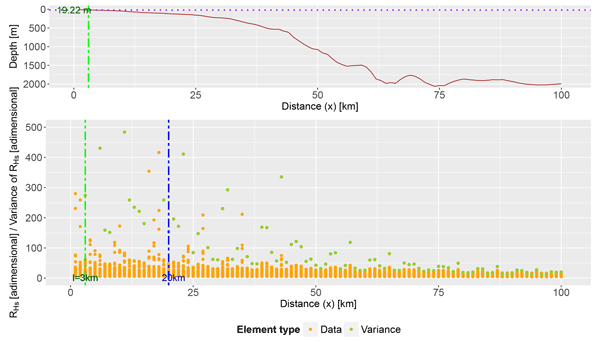 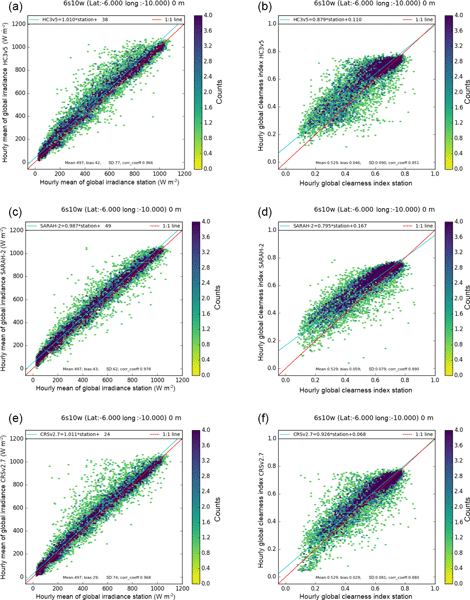 The practical value of the simple parameterizations presented in this work should be seen in the opportunities for applying them to the development of remote-sensing methods. 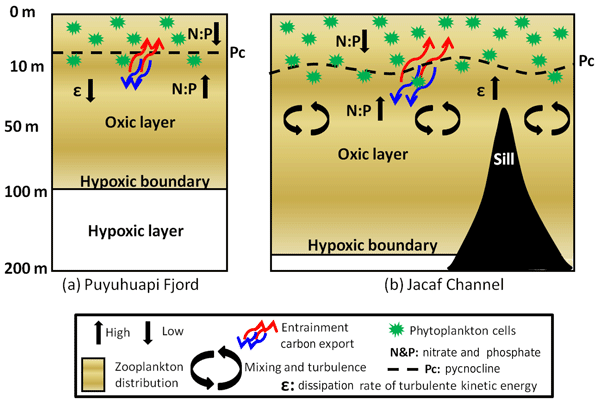 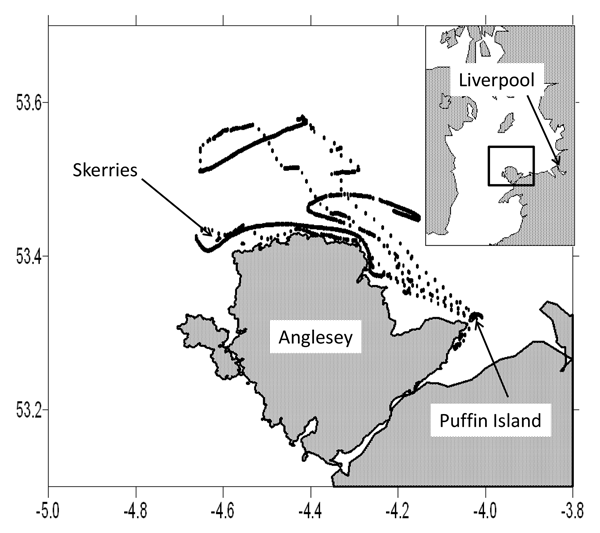 Time series observations can reveal processes and controlling factors underlying the production and loss of iodocarbons in the ocean and provide data for testing hypotheses and models. 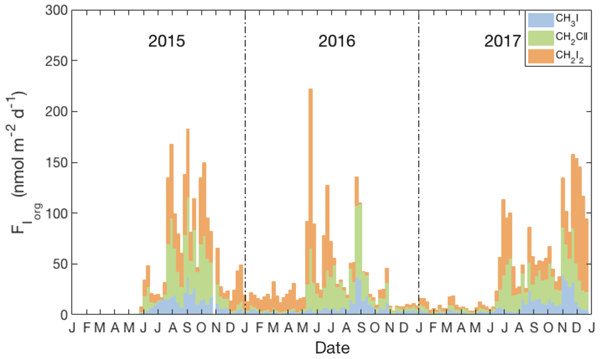 We report weekly observations from May 2015 to December 2017 at four depths in Bedford Basin, Canada. 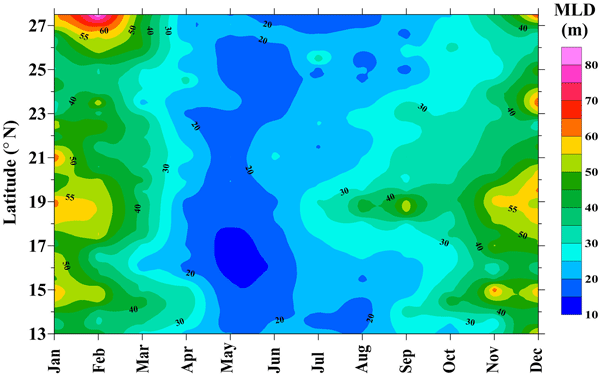 Iodocarbons in near-surface waters showed strong seasonal variability and similarities and differences in their correlation with temporal variations of potentially related properties and causal factors. 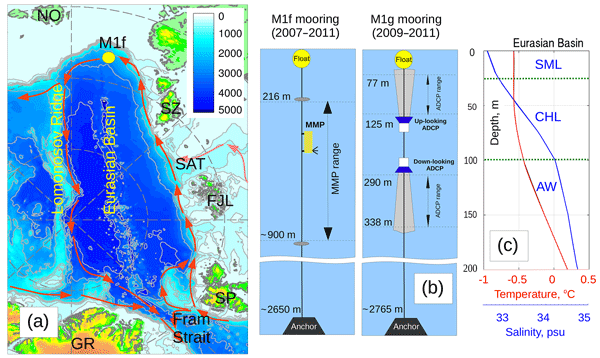 A total of 4 years of velocity and hydrography records from moored profilers over the Laptev Sea slope reveal multiple events of eddies passing through the mooring site. 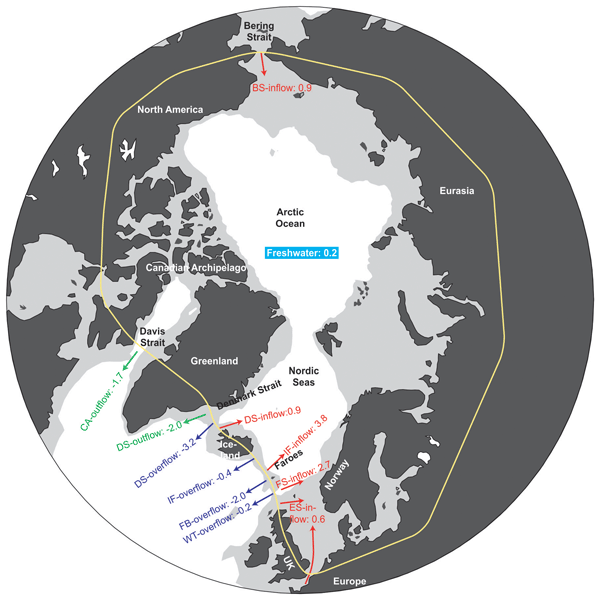 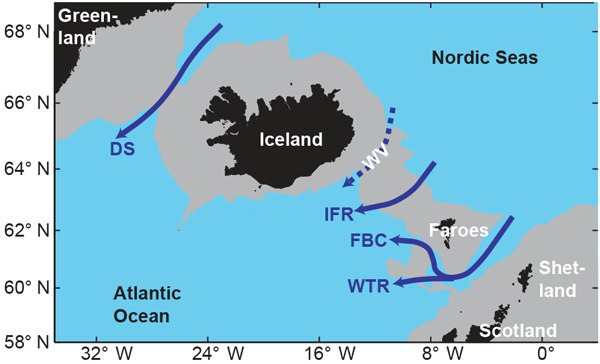 These events suggest that the advection of mesoscale eddies is an important component of ocean dynamics in the Eurasian Basin of the Arctic Ocean. 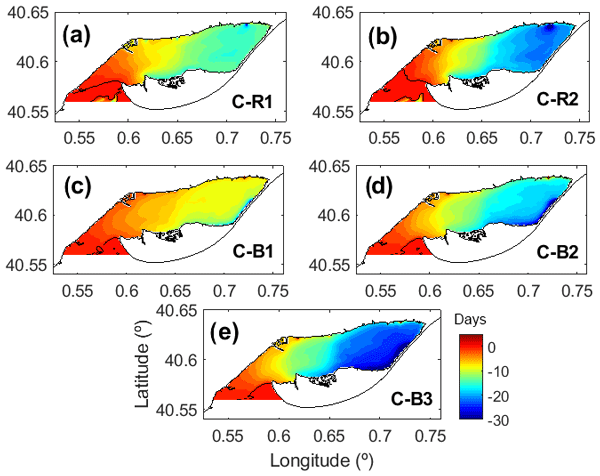 Increased vertical shear of current velocities found within eddies produces enhanced diapycnal mixing, suggesting their importance for the redistribution of heat in the Arctic Ocean. 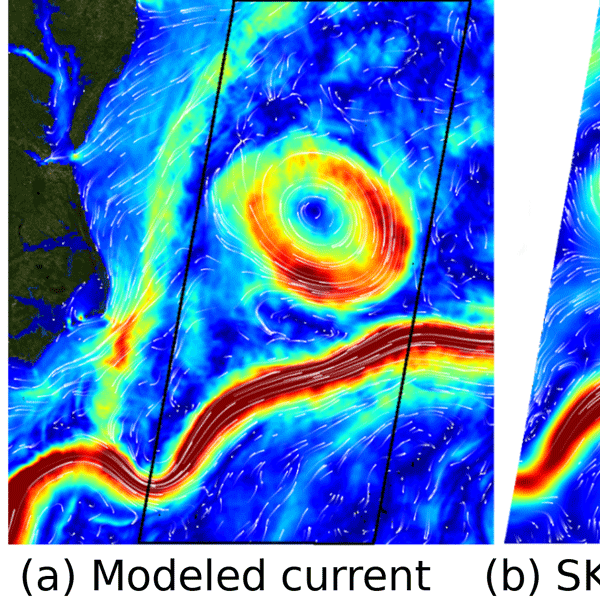 This paper is motivated by the next SWOT altimetric mission dedicated to the observation of mesoscale and submesoscale oceanic features. 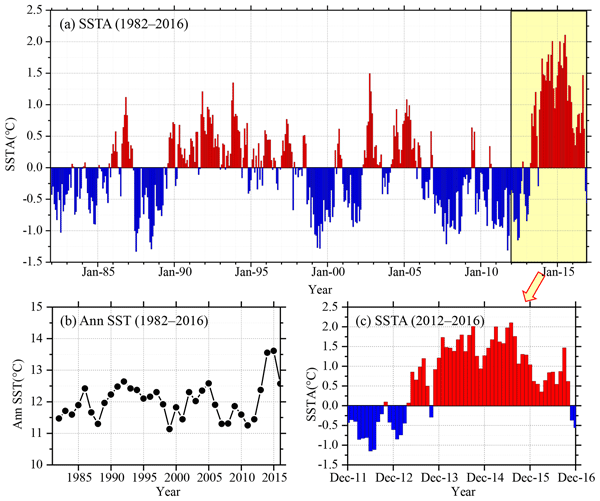 It focuses on tropical areas with a strong discrepancy in the spectral signature between altimetry and models. 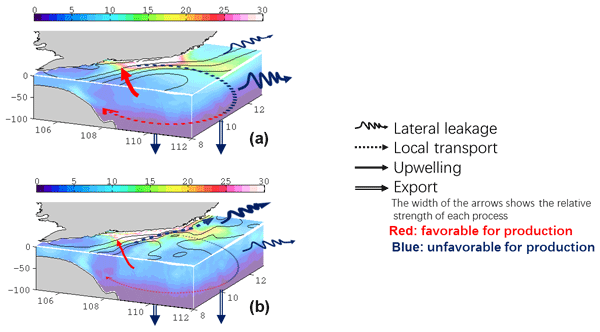 The paper reviews the spectral signature of tropical turbulence which presents a rich variety of phenomena depending on the latitudinal dependence of the Coriolis force. 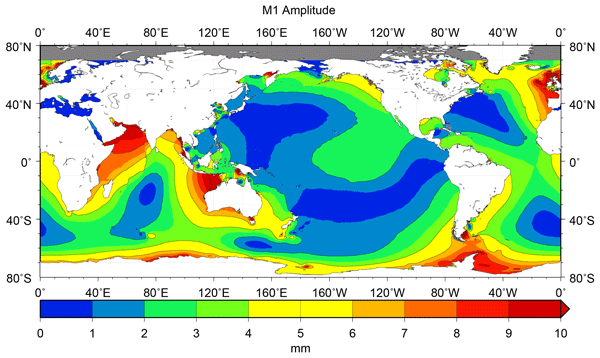 Internal tides observed by altimetry explain the discrepancy with the model.